In many federal grant budgets, the sum of salaries, wages and fringe benefits constitutes the biggest “chunk of change.” In the formal language of accounting and auditing, these costs are “material.” So, it should not be surprising that support for those charges constitutes the No. 1 documentation vulnerability for recipients and subrecipients. The diverse list of organizations that have gotten into trouble on the subject is long and distinguished, such as a university that recently paid almost $2 million to settle charges that it inaccurately compensated researchers for effort on federal grants. 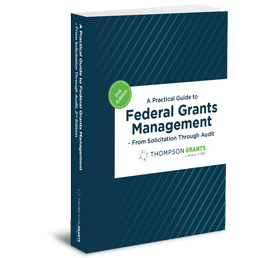 The federal government expects all recipients and subrecipients to maintain “a system of internal control which provides reasonable assurance that charges are accurate, allowable and properly allocated.” Judgments about whether your effort reporting system does that will inevitably be made during upcoming single audits and more than occasional reviews by federal inspectors general.